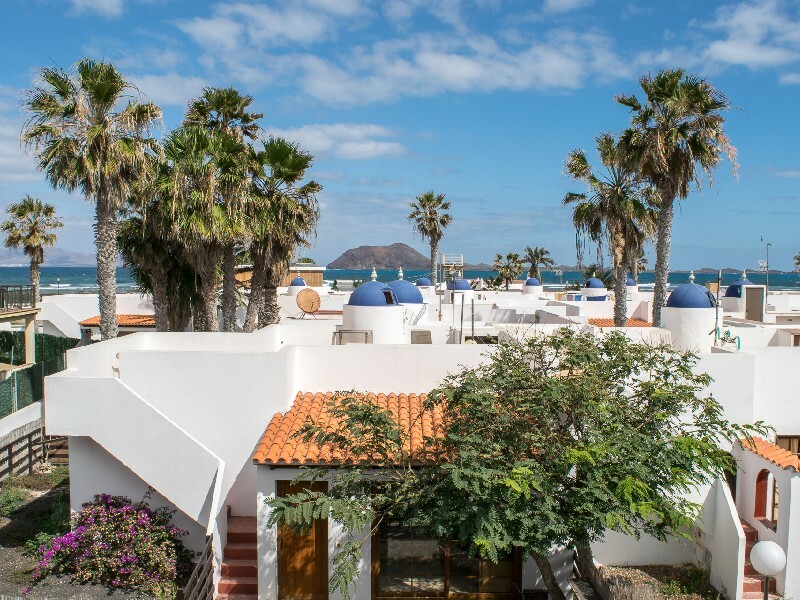 Surf camp and surf school with outdoor swimming pool and a rooftop terrace located on the northern coast of Fuerteventura Island, 100 meter from where the best surf spots are. 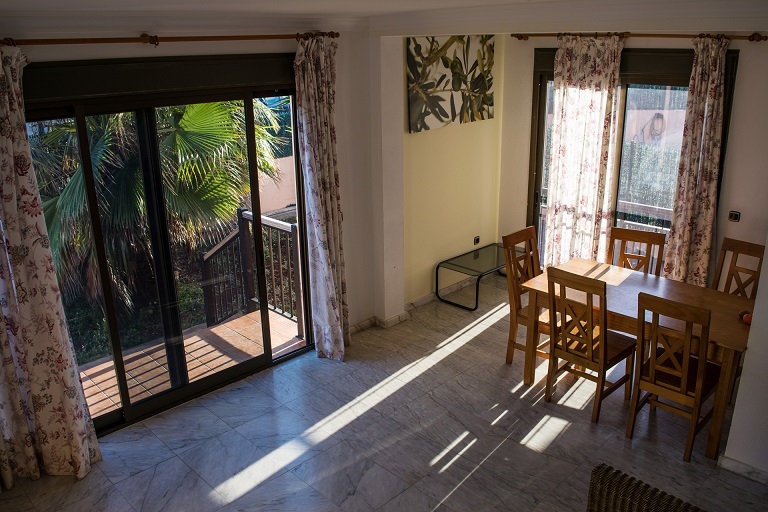 The surf house can accommodate up to 14 guests and is within 3 minutes walking from the beach, just in front of Punta Elena surf spot. 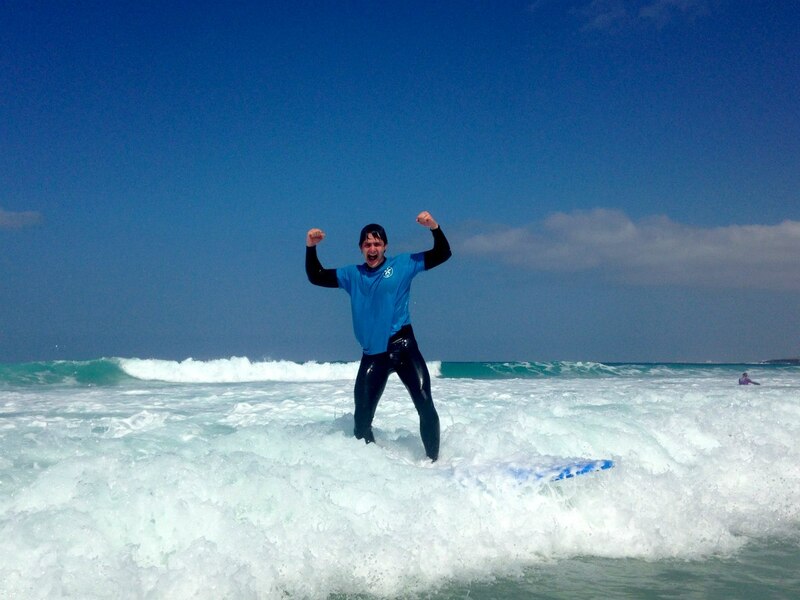 The surf camp and surf school are open all year round. All rooms with private bathroom? Shared rooms and Doubles room with shared bathrooms. 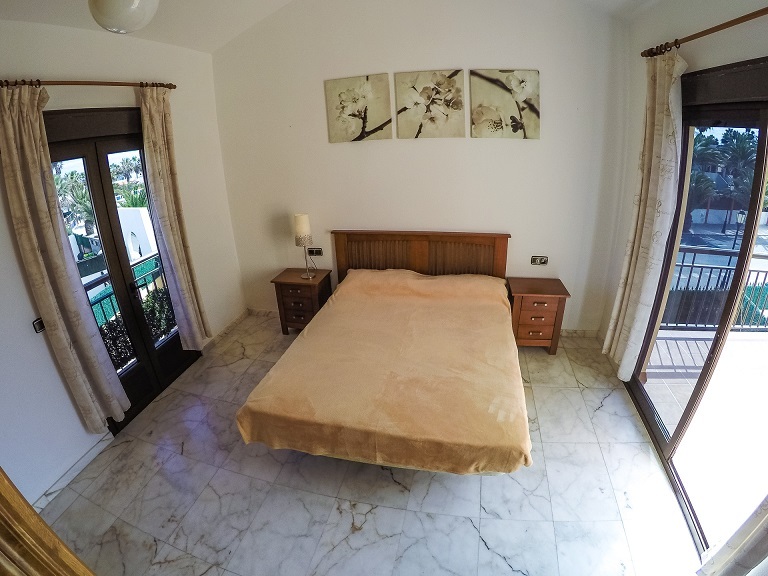 Double room with a sea view has a private bathroom. 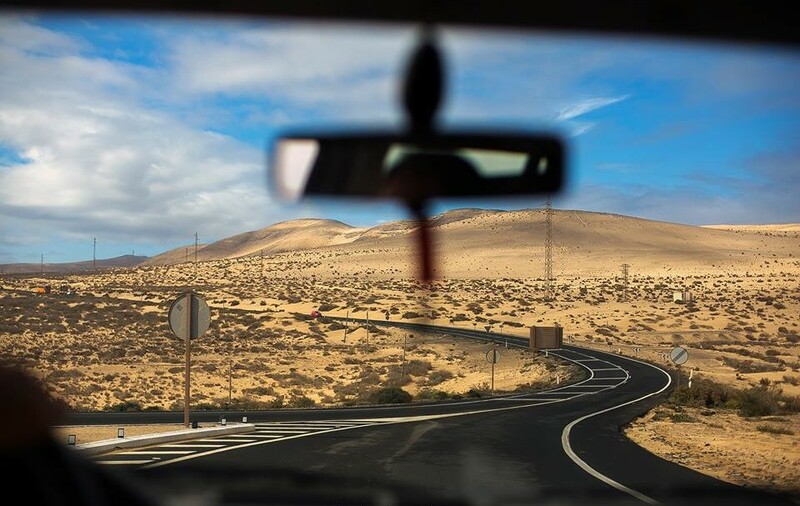 Fuerteventura, where Corralejo Surf School & Camp is located is the second largest island of the Canary Archipelago, but it's the island with more beaches with over 152 in total. 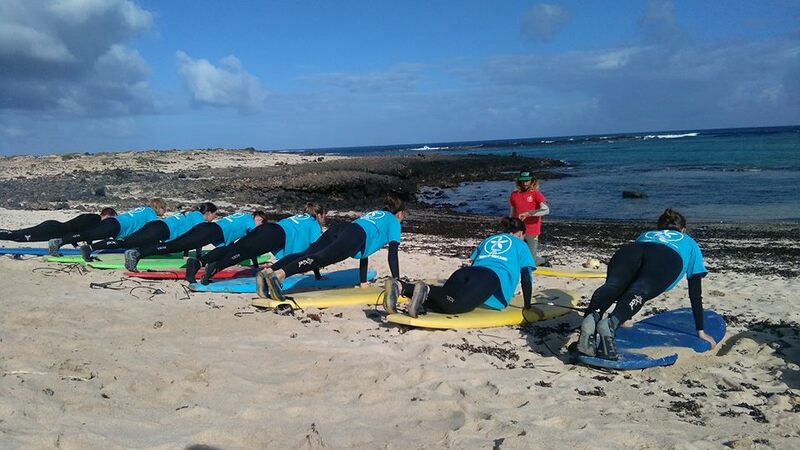 The Corralejo Surf School & Camp is located on the northern part where there is better swell and surf conditions. 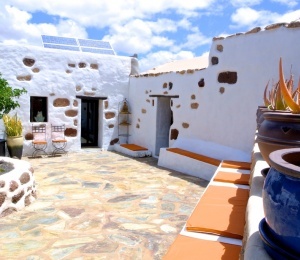 The Islands have an amazing weather all year round, with temperatures reaching high twenties even during December when most places in Europe are freezing cold. In fact, the high season coincides with December through April and from July to September during the European summer holidays. 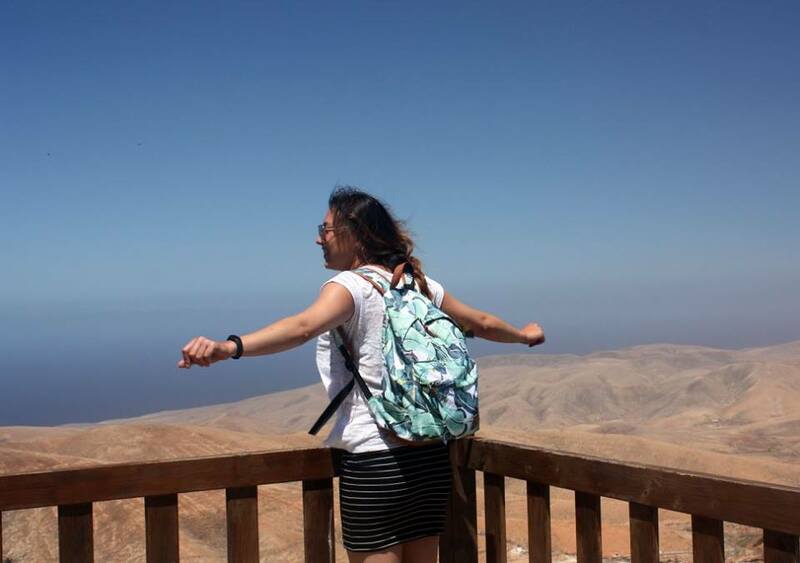 No wonder why the Canary islands are known as a paradise of eternal spring. 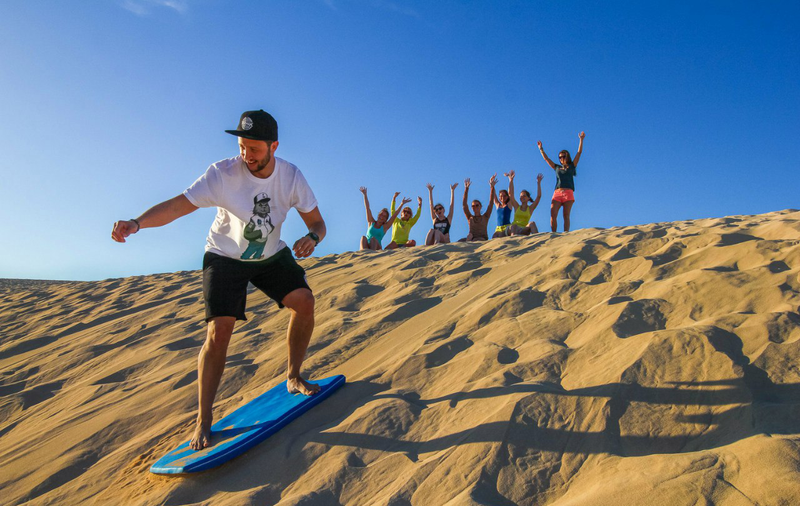 Beach season lasts all year round on Fuerteventura, and staying at the Corralejo Surf School & Camp will allow you to experience all this during your surf holidays in the Canary Islands. You can take sunbathes and swim at any time of the year without suffering from excessive heat even in the height of summer: the average temperature throughout the year is 25 degrees. The water temperature in the ocean off the coast of the island throughout the year is almost constant: +20 ± 2 ° C.
Fuerteventura is considered as one of the best places for surfing in Europe. Spots and waves are very diverse, the perfect place for both beginners and advanced riders. 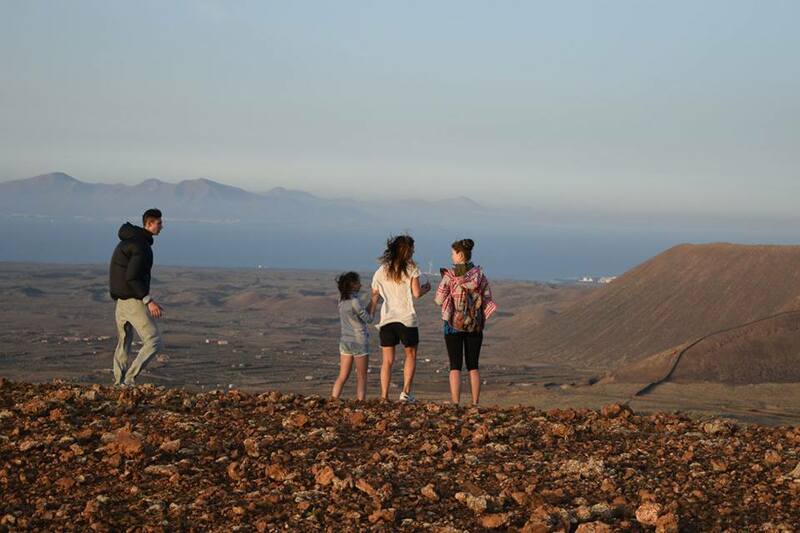 Fuerteventura was declared Biosphere Reserve in 2009 by UNESCO. 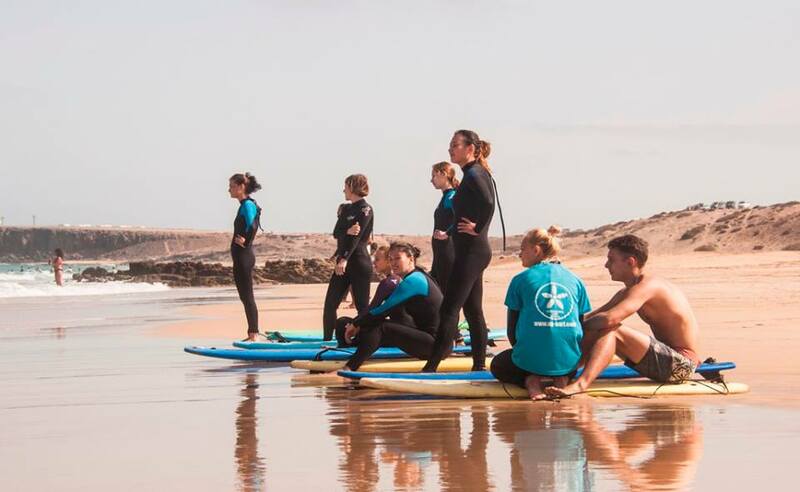 Corralejo Surf School & Camp is located in 3 minutes away from the beach, just in front of one of Fuerteventura's favourite surf spots called Punta Elena. 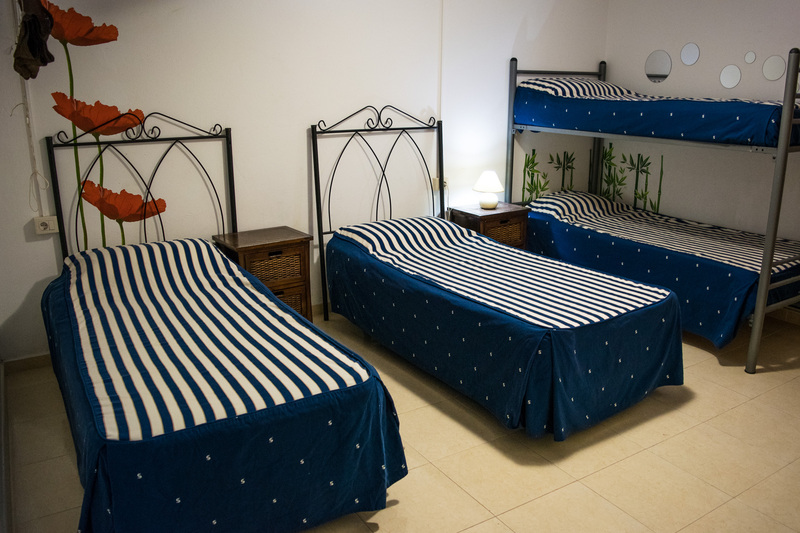 The surf house can accommodate up to 14 guests in 2 dorms for 4 people each and 2 double bedrooms. 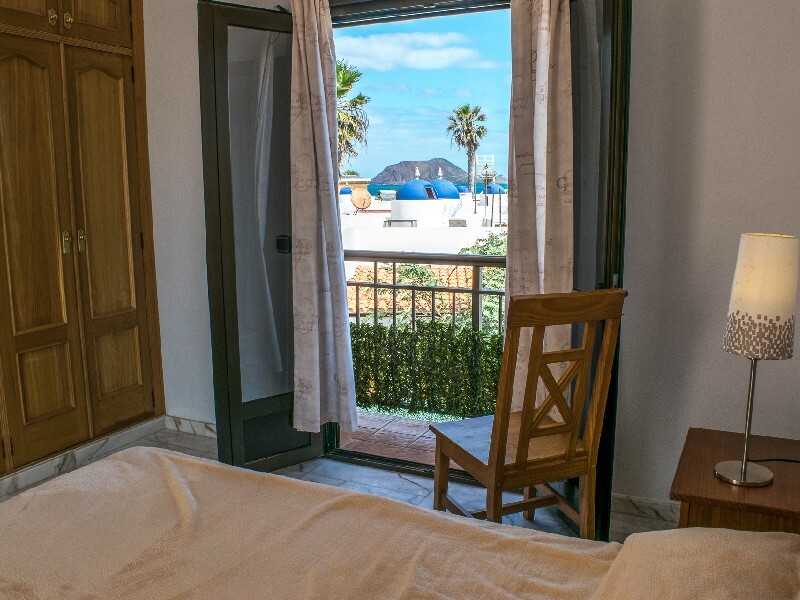 These rooms share two bathrooms, but if you want more privacy we also have one double bedroom with its own toilet balcony and ocean views. Our surf camp is very cozy and does not accommodate large groups giving guests its own space and provides some relaxation even during high season when everywhere is overcrowded and busy. 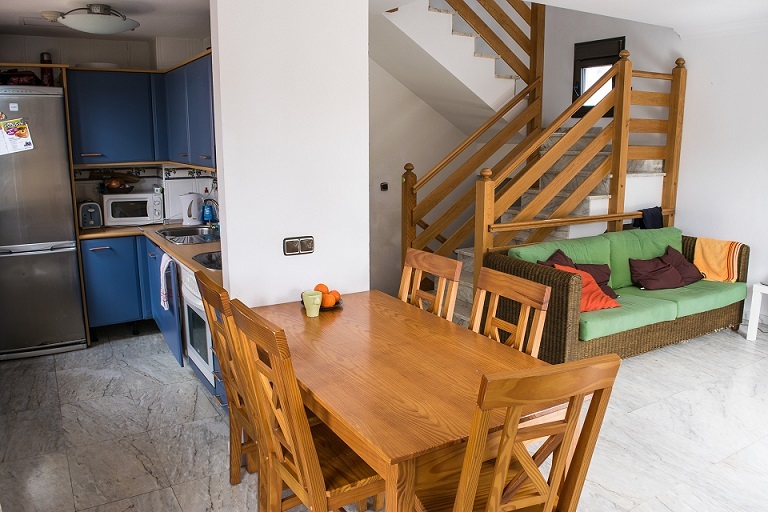 In total the surf camp has 3 floors with 5 bedrooms and 3 bathrooms. 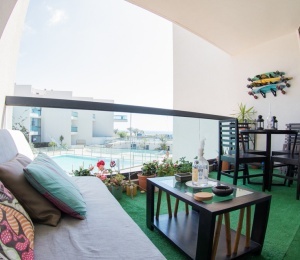 The surf camp has all the comfort that you need for surf holidays in the Canary Islands including its own outdoor swimming pool and a rooftop terrace offering awesome views of Lanzarote and Lobos Islands. 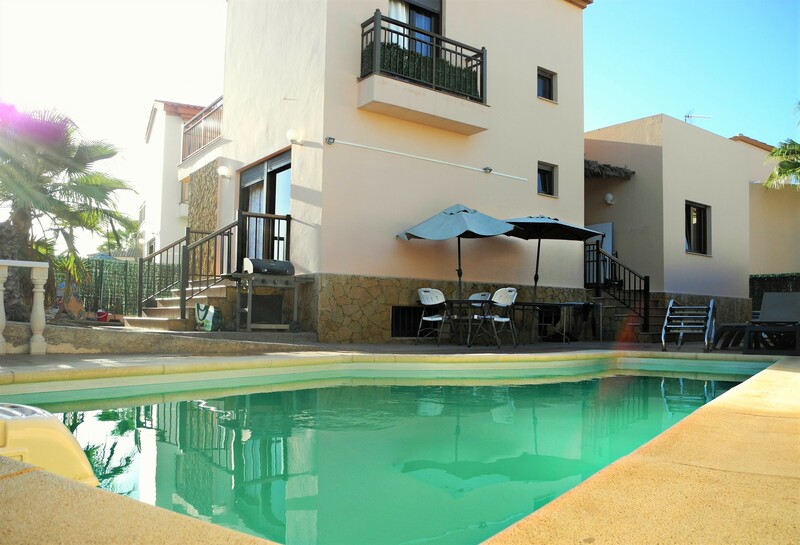 The Corralejo Surf School & Camp also has a BBQ area, storage facilities for luggage wetsuits and surfboards so you are welcome to bring your own surf equipment to the surf camp, or you can always rent it here. 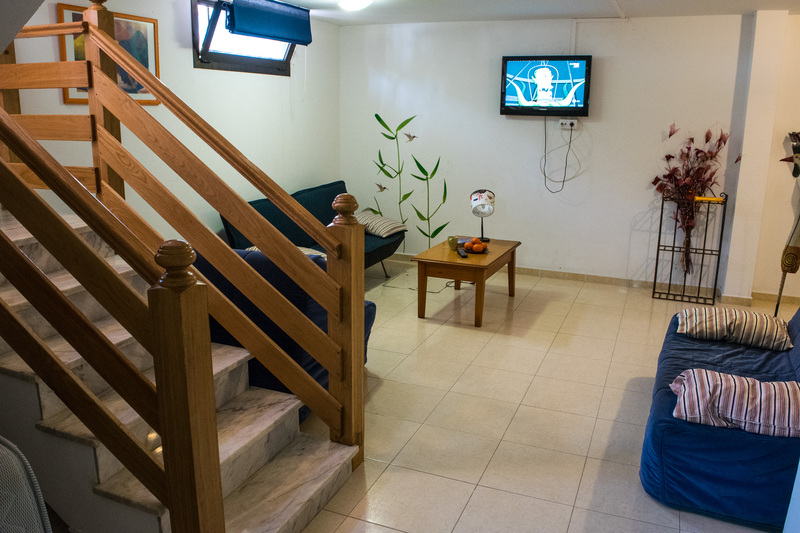 The ground floor has some public areas such as a leaving room with a TV and a fully equiped kitchen where you can have daily breakfast and prepare some light meals. 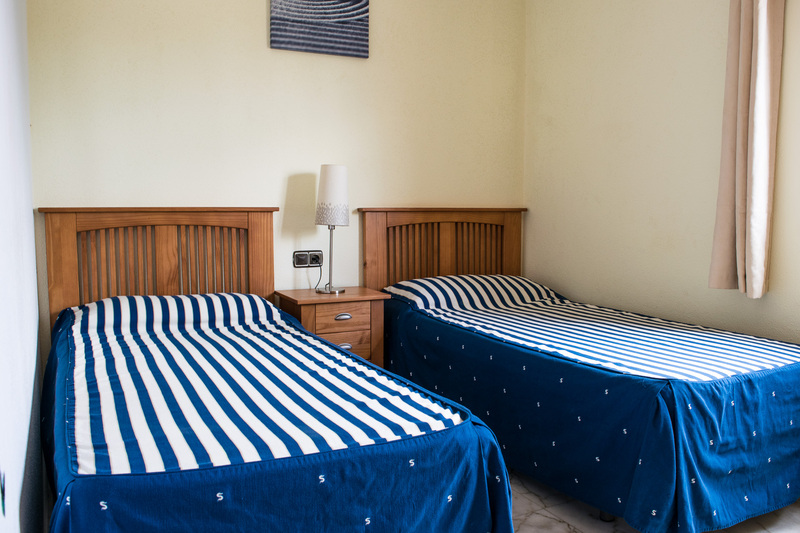 All rooms have wardrobes, bedside tables and towels. There is free Internet WIFI in the surf house. 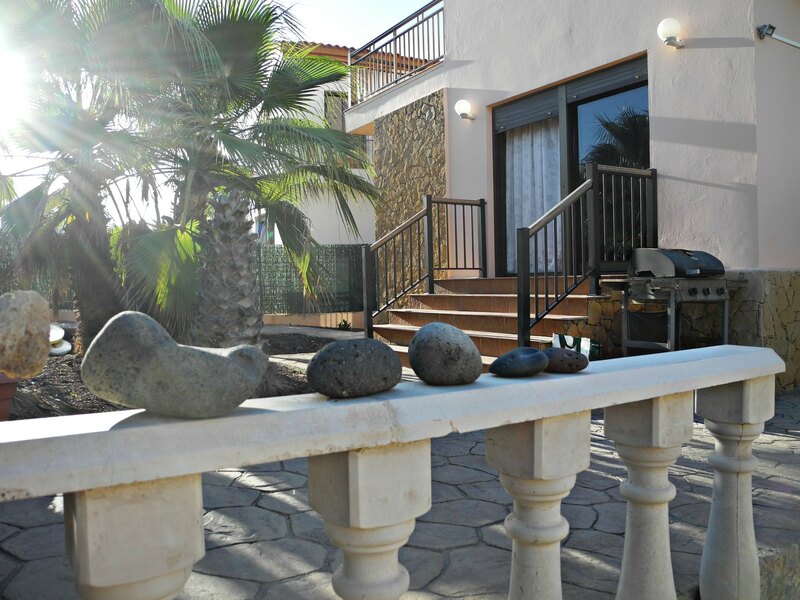 The surf house is located 15 minutes walking to Corralejo's city center along the beach. 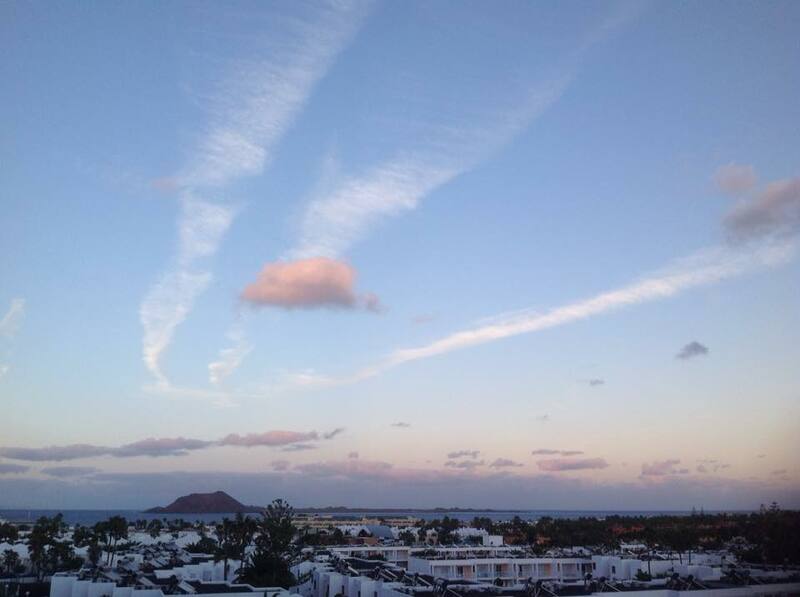 Corralejo is full of nice places, cafes, restaurants, shops and bars. So you won't be bored at any time. 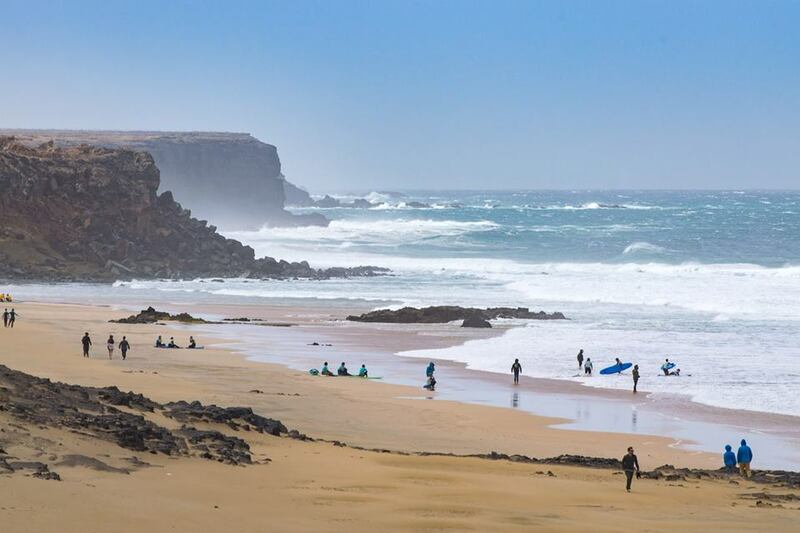 The northern coast of Fuerteventura, where Corralejo Surf School & Camp is located, is packed with reef breaks that pick up swells from West to East, making this area the best for surfing in Fuerteventura and one of the best in the Canary Islands. 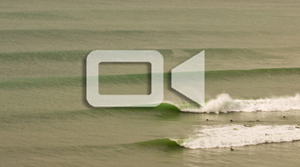 The west coast offers open, rock-strewn beach breaks that work with offshore from North East winds. 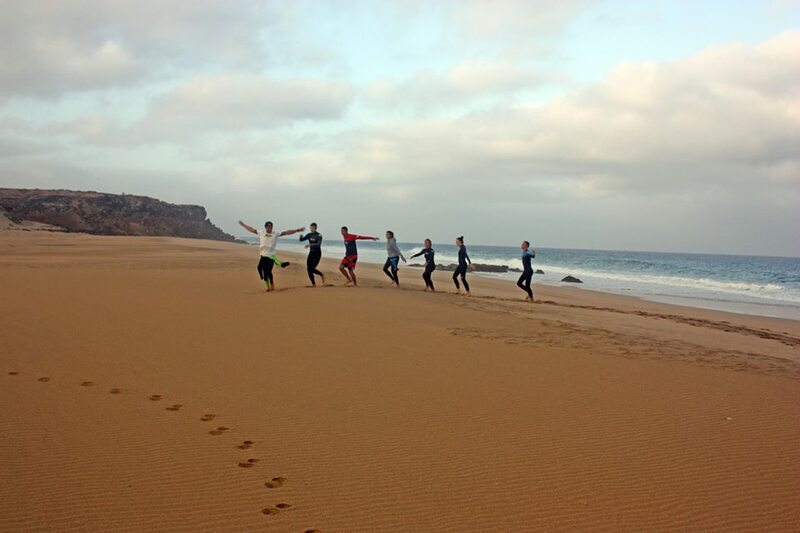 The decision of staying at the Corralejo Surf School & Camp is more than just about comfort, in fact, the inside information that our team will give you from the surf at the Canary Islands will be one of the main reasons why should be staying with us. 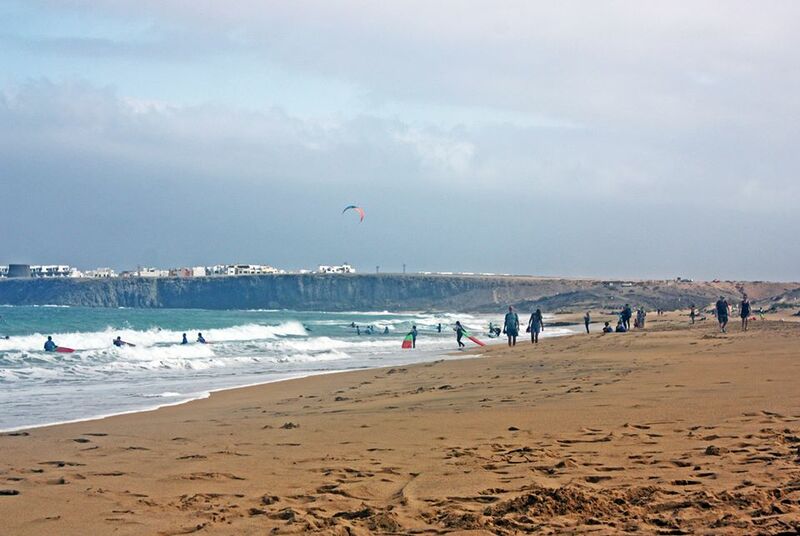 Fuerteventura has mostly reef breaks and some of the most popular surf spots are located in very close distance to the surf camp such as El Tubudero, Punta Lena, Punta Blanca, La Caleta, Cyclop. 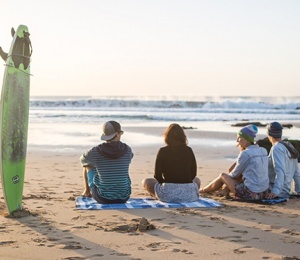 As in any surf town, there are some places with some localism so surfing with our crew can give you extra confidence in surfing some of the crowded areas. For example one of these surf spots is called Bristol, a much disputed reef break that works better during the winter time. 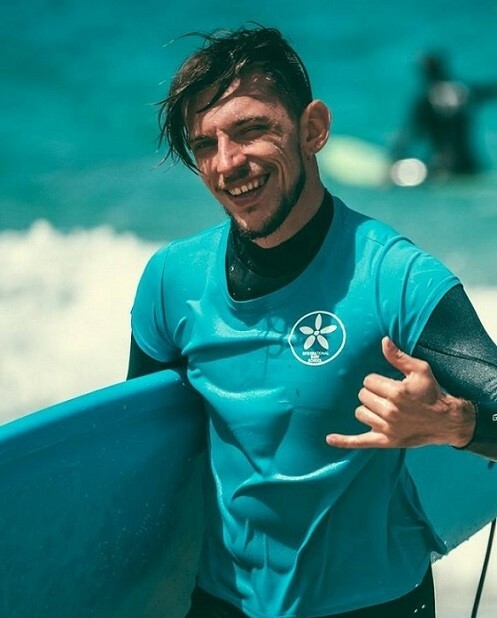 Keep also in mind that some surf spots have strong rips and currents such as Majanicho or La derecha de Alemania, so please be careful and always get advice from our team on where to surf to avoid any risks. If you want to surf the famous spots, then we'll most probably guide to surf in El Hierro, a reef break with two peaks in A-frame, recommended to intermediate and advanced levels only. 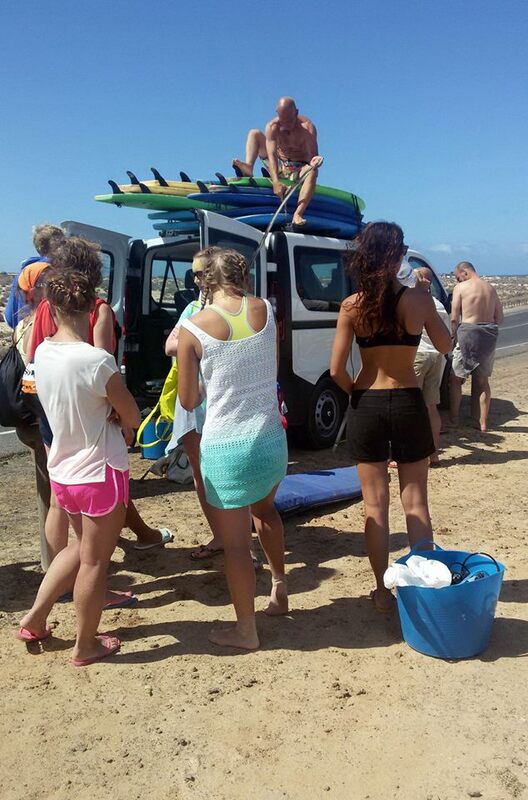 If your skills allow and you want that extra challenge then you should try surfing at the Bubble and Lobos, some of the hardest reef breaks in Fuerteventura, fast waves with some coastal cliffs, recommended to advanced and pro levels only. 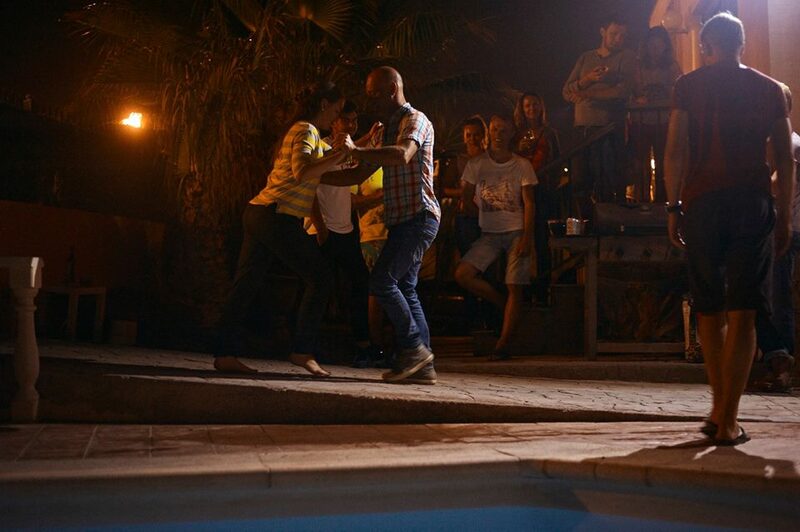 SURFINN © 20-04-2019 12:43:02. ALL RIGHTS RESERVED.